This was taken at my induction into the Pastorship of the church in the summer of 1989(I think that’s right). On the far left is Michael Hirst and next to him Toni Haddon, I think its Lizzy Cook from Long Lane in front of Mrs Sharp and I think the other three ladies were visitors to the church. 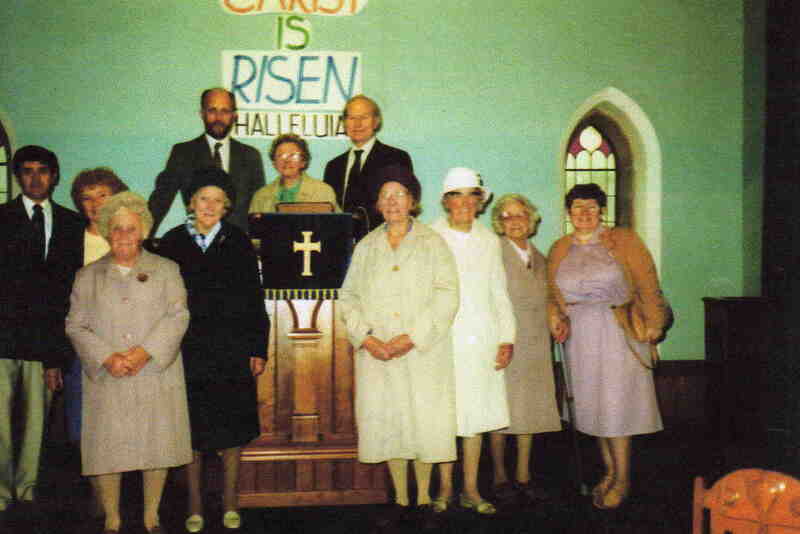 The lady in the pulpit is Mrs Watson, she had just presented the church with a new pulpit fall. David Taylor,Vincent Hopkinson, Nellie Hall, Mrs Curzon, Mrs Sharpe. Could anyone help with the missing names.